Nicely done set with the theme of the Irish dress, has a good set of colors, and interesting theme. 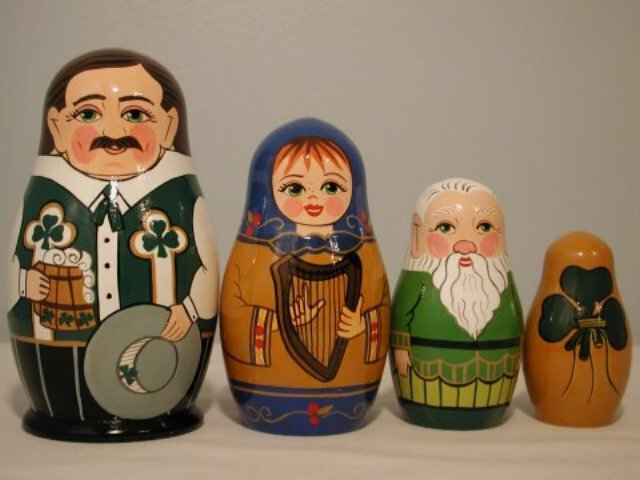 These are a nice showing for anyone who has Irish history, or for St. Patrick’s Day. The largest doll is 5.25”. Handmade in Belarus.